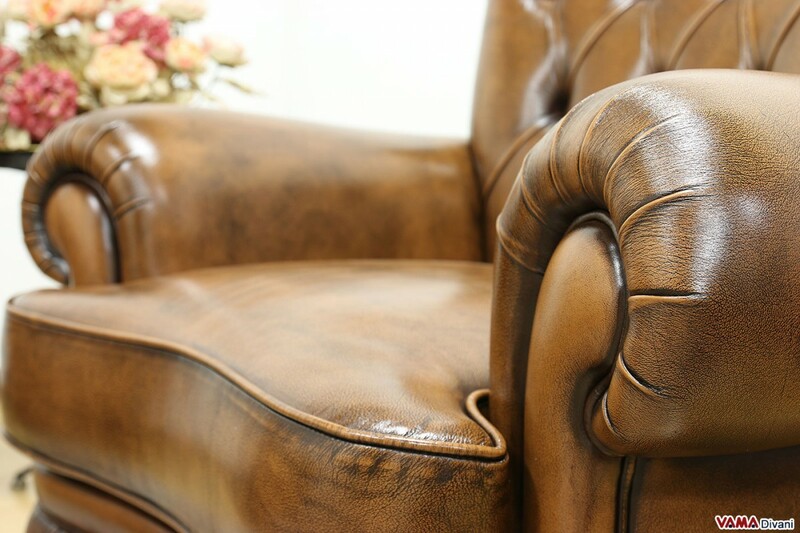 The Doge armchair is characterised by a very impressive structure, and its absolutely classic shapes stand out in all their beauty. 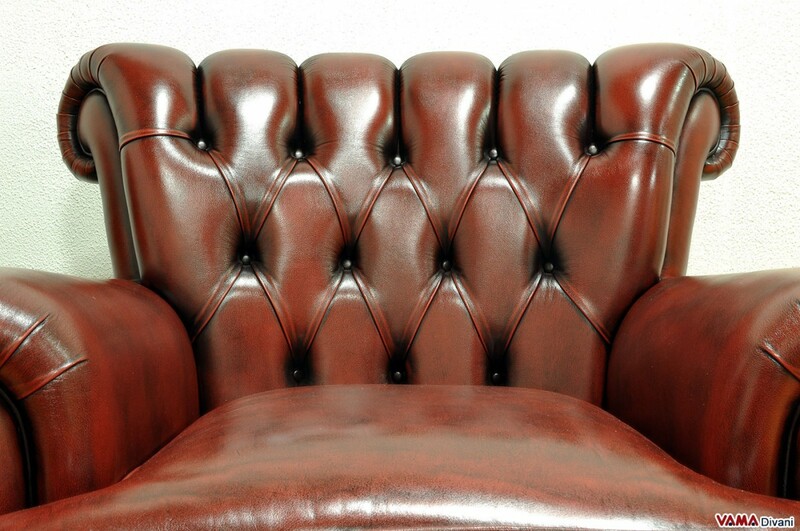 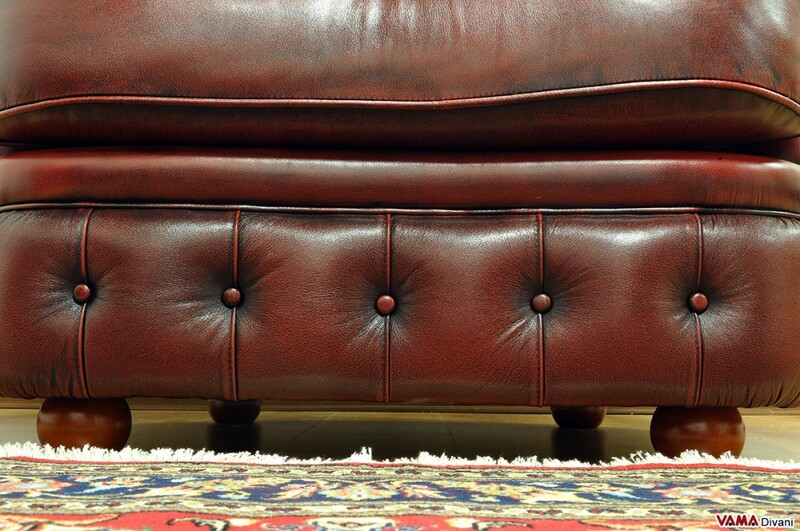 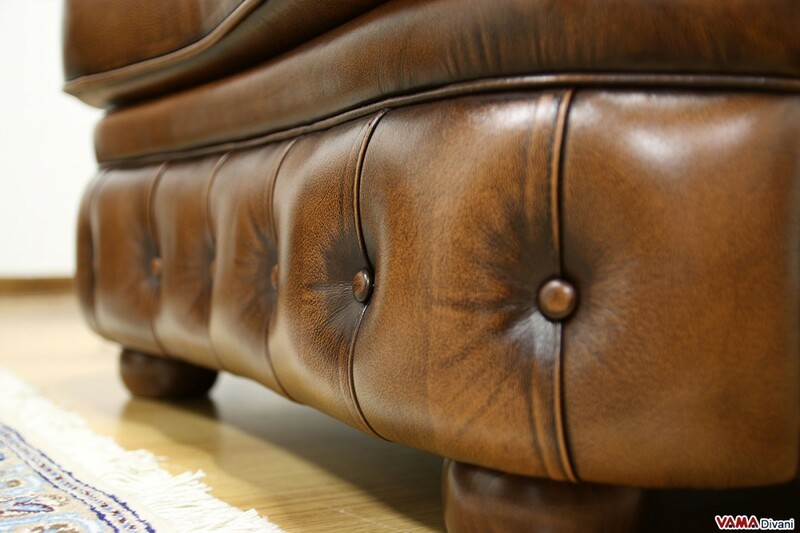 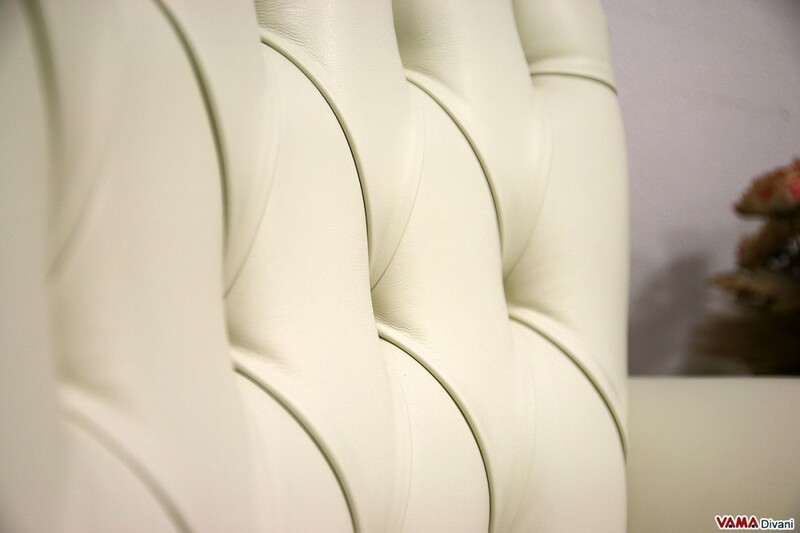 The top quality leather used for its upholstery is carefully hand-buffered by our Italian craftsmen to give it a real "distressed" look. 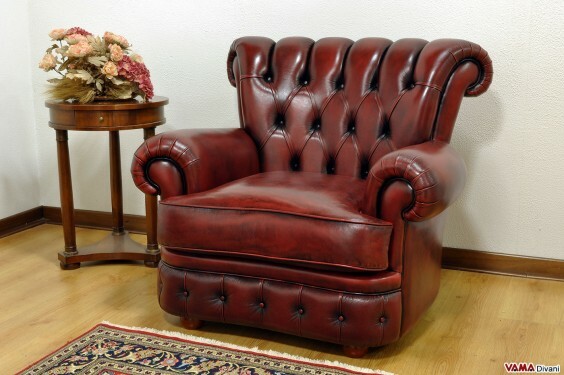 The main feature of this armchair is certainly represented by its large and high back, embellished by the buttoned details and other fine hand crafted decorations. 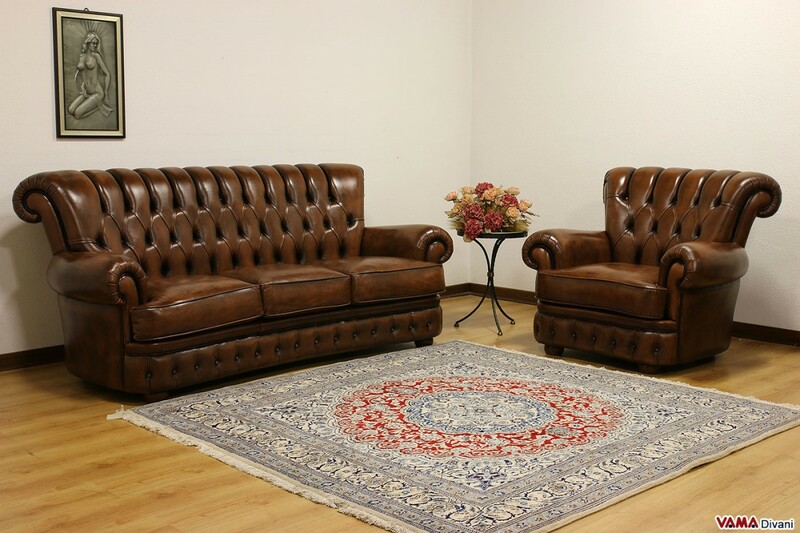 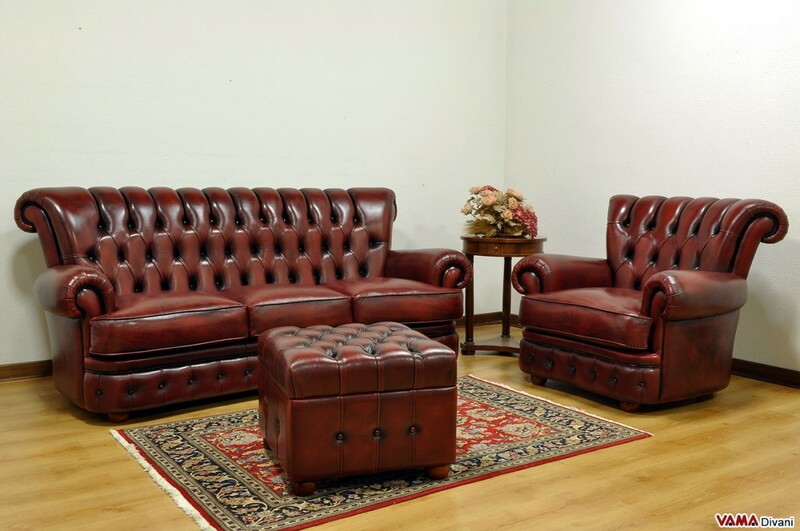 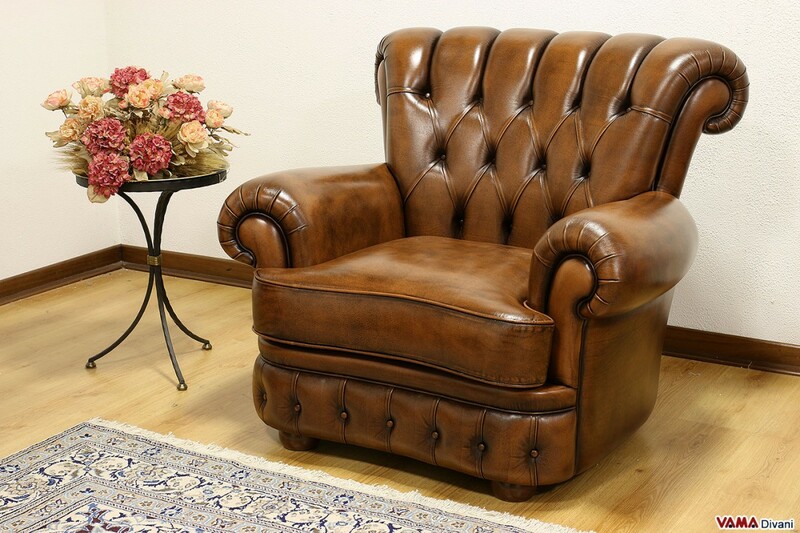 This very comfortable armchair features a buttoned base, just like in Chesterfield sofas, its side armrests have a very pleasant, clearly retro-inspired style, and its seat cushion is particularly thick and padded. 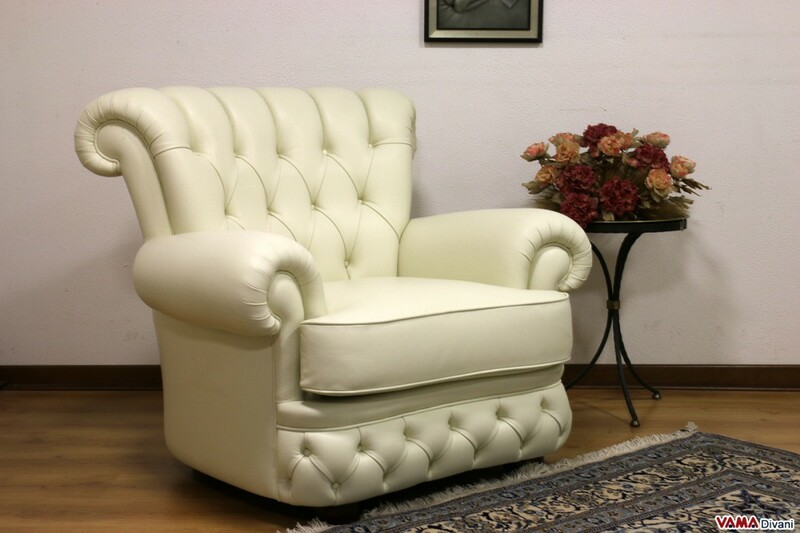 Exceptional if coupled with a similar sofa, like a Chesterfield one, this armchair can be the main character of any environment, from your living room to your studio, thanks to its elegance and strong personality. 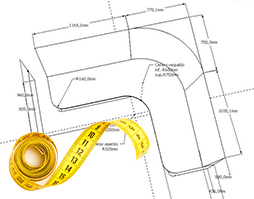 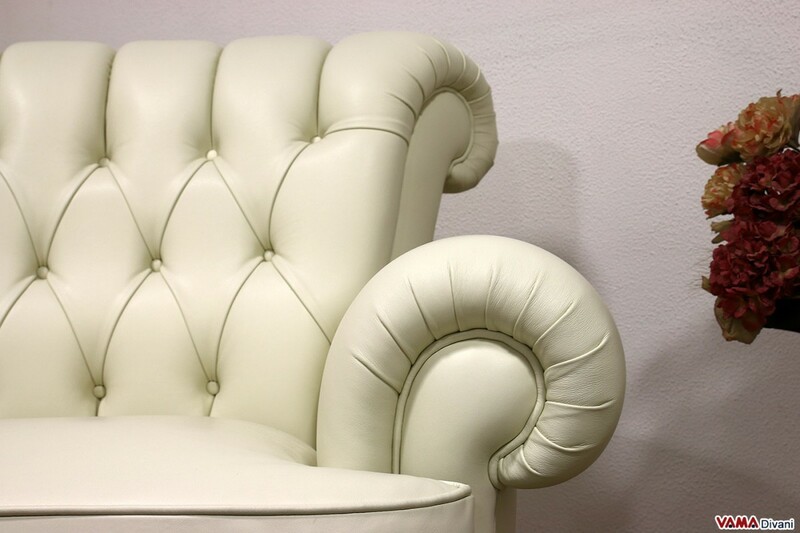 VAMA Divani can realise this very elegant armchair in any custom size and style.